For those wondering , is affiliate marketing the same as network marketing – the short answer is NO. In fact, they are worlds apart; so good thing you asked. Knowing the difference is very important in determining which path you go down, especially when embarking on the journey of going into business for yourself. Here we’ll not only be discussing what the main difference between affiliate marketing and network marketing are, but which is actually the better business model as far as earning potential. When you begin looking into starting a business that you can run from home, you’ll find so many supposed business opportunities, ideas, and offers that it is dizzying. Cutting through the clutter of misinformation can prove difficult. The sad part is that, weather online or offline, most of these so-called “opportunities” are not legit and end-up scamming those that just want to make an honest living. Today my hope is to clarify as much as possible while getting you on a clear cut path to creating your own work at home business w/out any setbacks. First let’s start off with some simple characteristics of each so that we’re on the same page. The industry terminology can get a bit confusing. This business model is structured like a pyramid scheme and has various levels within the organization, but due to loopholes some are legal (although that does not mean they are ethical). The only positive aspect I can think of is if you get in early enough where the product is not yet well-known, then you might get a chance to make some headway. Usually though, because of the nature of a pyramid structured recruiting system, you are usually way down on the totem pole, as far as earning potential is concerned. It is known that only about 4% of participants in an MLM actually earn any money that is worthwhile. Note: Not all network marketing companies are created equal and not all are scams. However, it is well-known that a vast majority of MLMs usually pertain to the idea of a pyramid scheme and are risky to join. Most of them do get shut down or go out of business due to poor management practices. There are free affiliate marketing communities you can join that have free training included (click the link to see my top recommended community). Affiliate marketing really is in a league of it’s own. You can be more profitable than an MLM business without all the negativity surrounding network marketing. Here, as a an affiliate you are promoting other companies products and services using elements of online marketing to earn a commission for each sale or lead that you generate. You’re able to promote as many products/services as you like, even between competing companies. (more details below). These are commonly used and are general terms. They all mean the same thing and are used interchangeably. This refers to all activities done online to market a product or service, including but not limited to online advertising (search ads, adsense, PPC, CPA, social media ads, solo ads, native ads, re-targeting), email marketing, content marketing, affiliate marketing, organic traffic, search engine optimization (SEO), link building, etc. 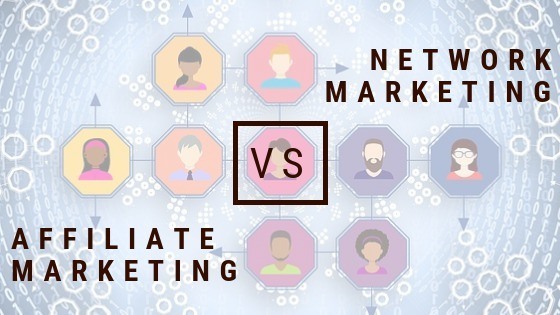 When comparing the online aspects between internet marketing vs. affiliate marketing you can see the similarities and that some internet marketing activities are used for affiliate marketing, such as organic traffic, on-page seo and off-page seo, PPC, email marketing, and so on. I will just put it right out there, I am NOT a fan of MLM and I’ll never join one. The reason is simple: there are just too many great opportunities with legitimate affiliate marketing programs to join. My top recommended program to join for free training and a helpful community is Wealthy Affiliate (see company review). Well for one thing it is free to join any affiliate program and start promoting. Commissions rates from some of the top companies are around 50%. So if you sell something for $60, you keep $30. And most pay you out every two weeks. With some programs even if your referral does not buy, but they provide an email address, you still get around $5. You can see how this can turn into a big side business. Well, I mean the goal is to be able to quit your day job. With affiliate marketing you create a website or blog about various topics that you are interested in, it can literally be about anything; as long as you enjoy the subject. Then you find companies (affiliate programs) to partner with that sell products or services that relate to your niche and promote the links and banners on your site. It really is that simple. There is no hard selling, hounding people, cold calling, spamming, etc. Think of any product, yes you can promote it. Any category you can think of there are millions of products to choose from and thousands of affiliate programs to join. From famous companies like Amazon, Walmart, Ebay, and even some not so well-known companies like ClickBank, you can basically be they’re freelance spokesperson and make good money. The best part about all of this is that you don’t have to have your own product to sell, you do not need to keep anybody else’s inventory on hand or in stock, and there is no overhead like rent or cost of shipping; nothing. You do not have to worry about billing, collecting money, returns, merchant services, tracking packages; nothing. Let’s say you recently did a DIY (do-it-yourself) project at home. Take this example and extrapolate because your affiliate site can be about anything you know something about. With this example let’s say you installed “outdoor speakers” in your backyard. You know all the tools and material you’ll need. You would join an affiliate program that sells the speakers, tools used, accessories and anything else related to outdoor speaker systems for the home. You are now targeting people that are searching Google for terms like ‘what are the best outdoor speakers’, ‘easy install outdoor speakers’, ‘how to install outdoor speakers’. When performing keyword research (which is taught in the training), you’ll come up with dozens of great keyword phrases to target. You can even get more specific and go after longer keyword phrases. Now you’d create a write-up that show others what you did and how it’s done. By including pictures and linking the products you recommend, people will follow your links and most likely purchase. You could do reviews on all the different speakers that you researched and promote them with links too. Many people like to do “how to” videos that you can upload to YouTube and embed on your site also. YouTube also allows you to monetize your videos and earn ad revenue for each person that views it. Obviously there is more that goes into getting visitors to your site and expanding your ideas while figuring out what people are searching for online, but that is what the training I’m offering below goes into. There is no cost to you to learn these basic concepts and start earning a steady income online. I have several online business that I started this way and they are based on my own personal hobbies and things that I’m passionate about. I don’t have any experience in sales or computer programming. When I started learning about affiliate marketing I didn’t even know how to build a website. I learned everything I know from the online business training community mentioned above They focus on showing beginners how to start their own legit online businesses. 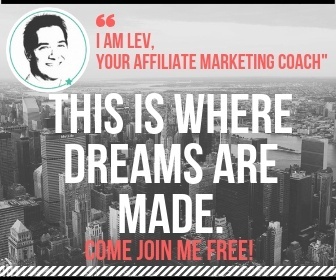 I am still a member today and am going on 6 years – I’m currently offering free personal coaching as an affiliate marketing mentor there. Most people quit because they do not see any commissions coming in within weeks or even a month. This is the wrong mentality to have. It will take roughly 3 months to learn and build out your site to start ranking in the search engines. If you are serious about starting your own online affiliate marketing business, then you need to understand that it is not a ‘make money quick’ type of scheme. This is the real deal and it takes time to build and grow like any real business does. Once you start getting traffic to your site, you’ll be getting automatic sales every month. As you go forward, since you put the hard work upfront, all you’ll have to do is maintain your site by adding content once or twice a week. I started back in 2013 making no money online, and now I own multiple sites all earning a full time income online. So now you’re asking yourself…. How much will I earn and how long will it take to be successful affiliate marketer? I know many affiliate marketer that make well above $3,000 a month, up to $10,000/mo. Hopefully you’ve gained some valuable insight from this post and if you need any help you may contact me directly from the contact page or leave a comment below. I am also offering free mentoring; see why it’s so important to have a mentor for affiliate marketing.